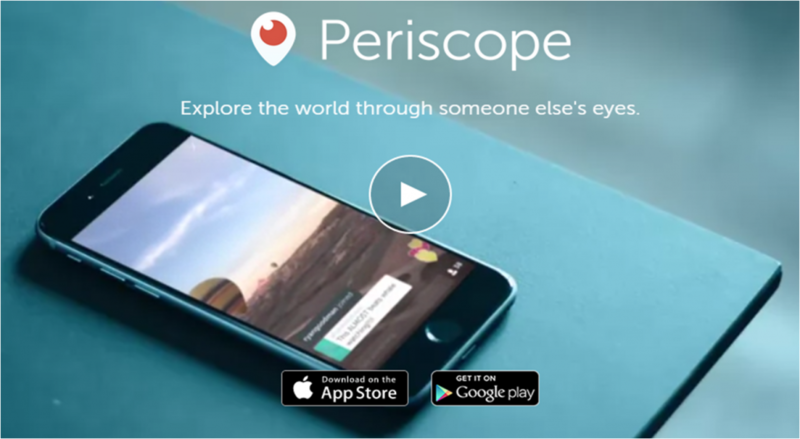 What is Periscope and is it Worth Using? Video content is becoming increasingly popular thanks to ease of content creation and viewers being able to watch video more freely on all devices with improved data plans, wider Wi-Fi coverage and faster internet speeds. Periscope was the second of the two players (behind Meerkat) to enter the instant-video space but has a larger following, after having been purchased by Twitter and therefore better integrated into the social media platform. For viewers, you download the app on your mobile device or simply click on a Periscope link and watch the stream of your favorite person or brand. For broadcasters, once you have downloaded the app you simply click on the shoot button, name your stream and click the Twitter icon to send the link out to your followers and begin videoing. What Is So Great About It? For digital marketers who already have an audience on Twitter you can get started with an audience right away allowing them access to real life moments, which previously could only display in 140 characters on Twitter. Periscope gives you the ability to see behind the scenes; viewers can be backstage at a movie gig, meeting people on the red carpet or see an internet celebrity film their podcast. The possibilities are endless. You can get statistics after the recording telling you how many live viewers you had, how many people replayed your video (another benefit, people can watch a replay for 24 hours) and number of hearts your video received. Fans love to interact with the people they follow, the reason they often follow you on Twitter to start with is too increase their connection with you. When the Periscope live stream is happening, people are able to comment live on your broadcast enabling you to interact on a more personal level. It is similar to an Ask Me Anything (AMA) on reddit, but in real time. The quality of the live stream continues to be an issue. The Internet isn’t perfect worldwide so you will get times where the footage glitches. The video is filmed on a mobile phone so it is naturally not the smoothest video and at this stage you can only film in portrait mode whereas the ability to film in landscape would change the landscape once again. A big trend in online marketing is repurposing existing content into various formats. This is not possible for Meerkat footage as it is not saved to your mobile phone and viewers can only take granulated screenshots. When Meerkat and Periscope launched in March 2015 the excitement in the online world was massive, though many companies are still attempting to find their best way to use the platform. With the Mayweather vs. Pacquiao fight streamed online, concerts, live events such as the Balitmore riots and press releases all being broadcast already the platform will continue to evolve. If you are on the fence, give it a go, your fans will let you know when you start videoing the right stuff.